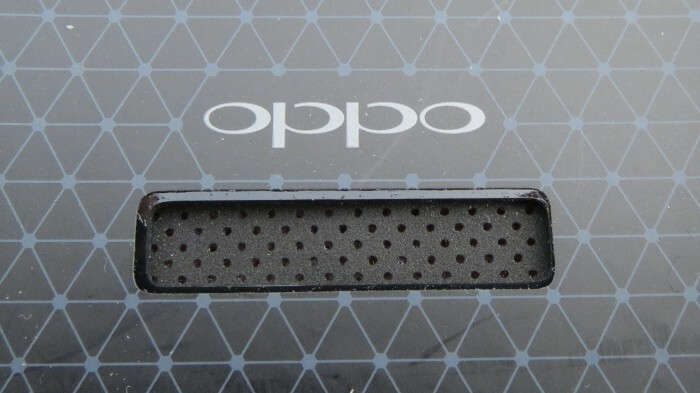 So you’ve read my OPPO find 5 review, watched the videos and your mouse is hovering above the add to basket button, but before you check-out you may want to think about a case. 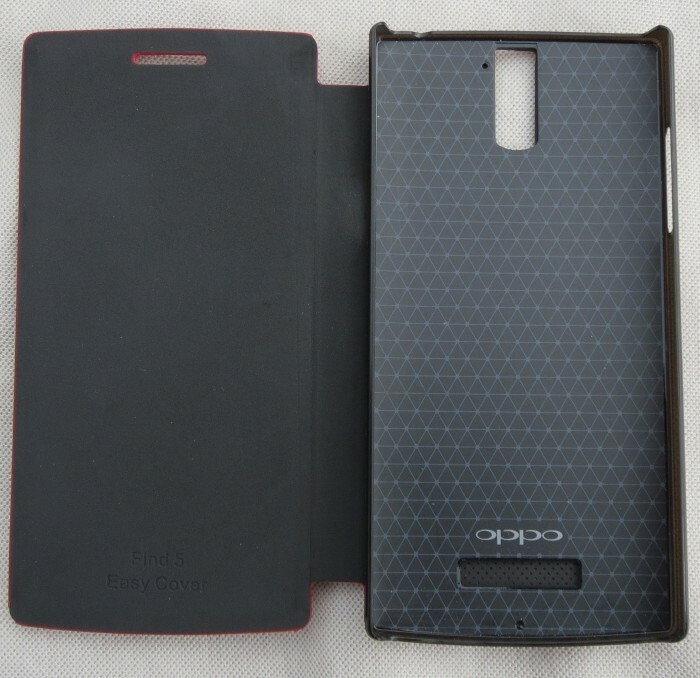 The problem is that there are no third party cases and the only place to buy genuine cases is on the OPPO Style web site. 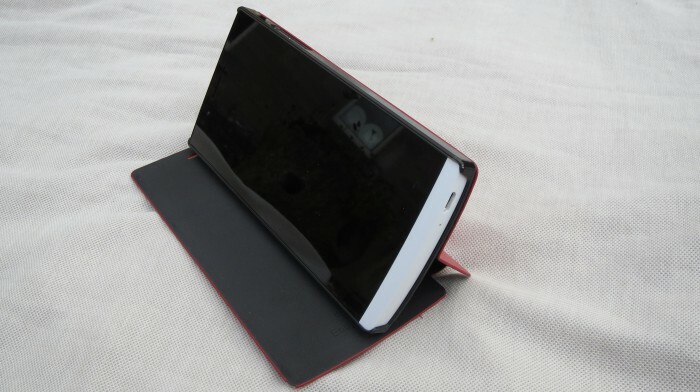 If only someone you know had bought one already… You’re in luck, because your friendly coolsmartphone team have come to your rescue once again! 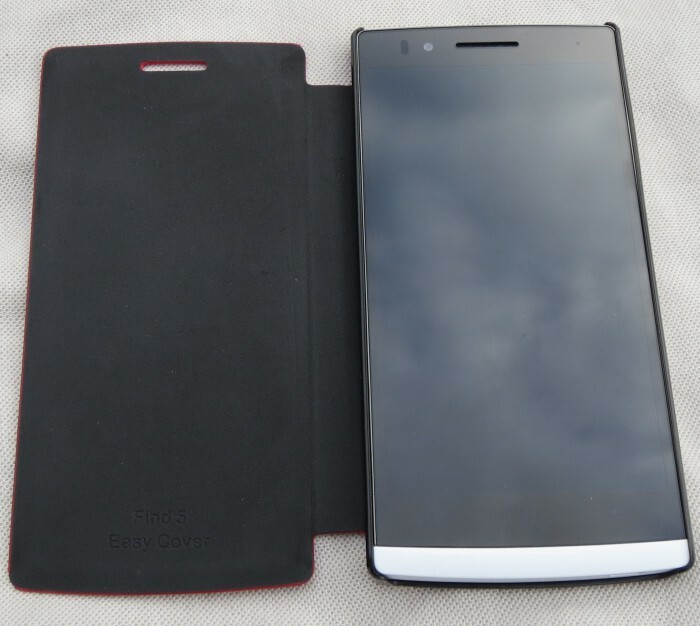 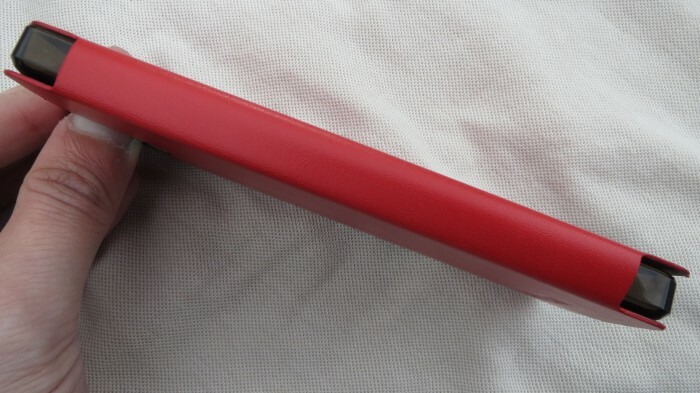 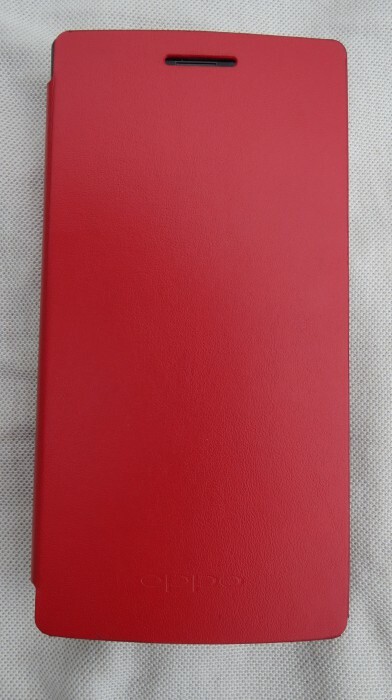 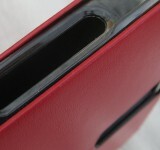 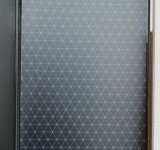 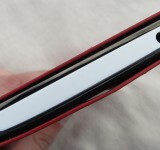 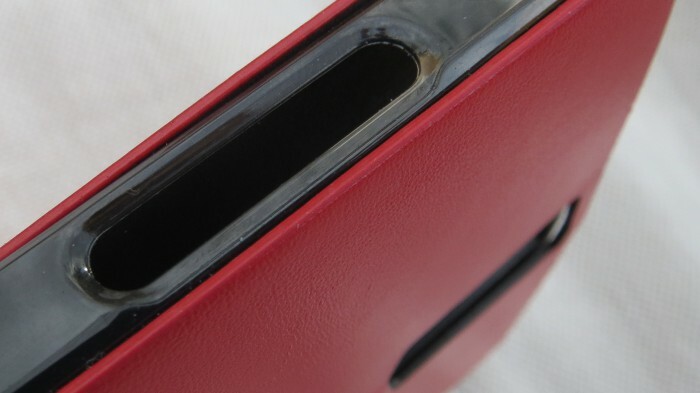 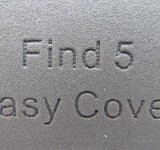 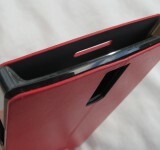 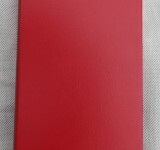 The OPPO Find 5 case is of the horizontal flip type genre. 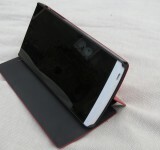 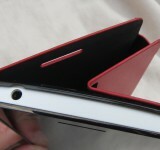 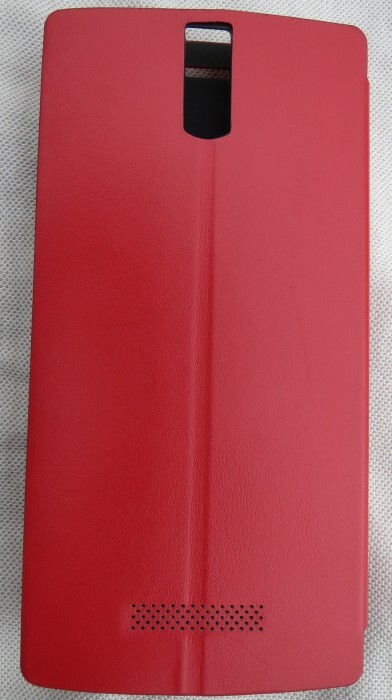 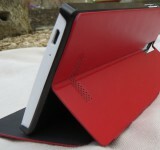 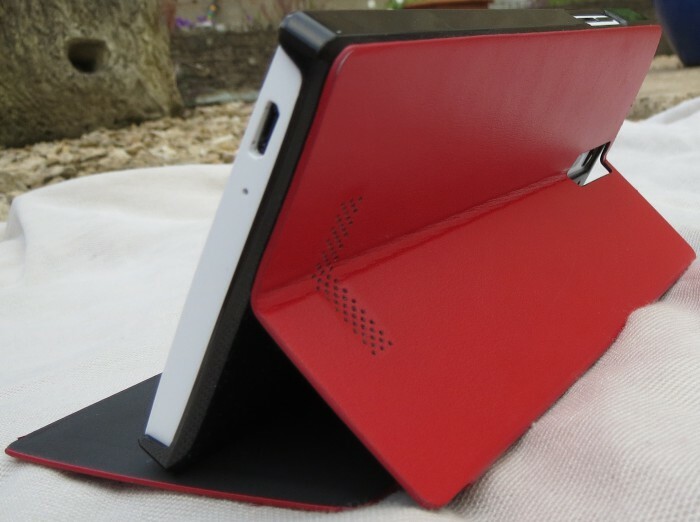 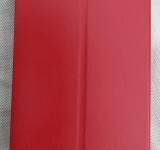 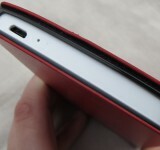 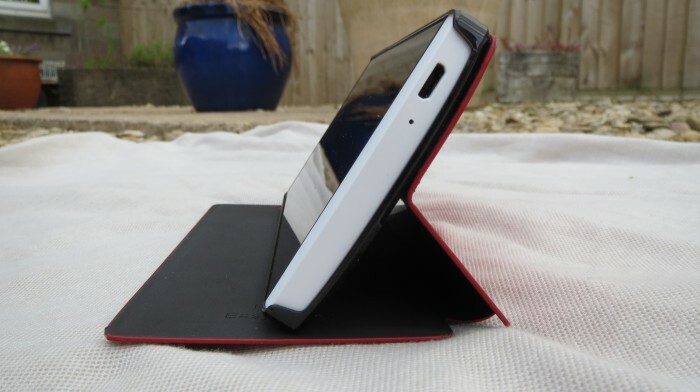 It has a plastic shell that the phone clips into and a reinforced faux leather folding book style cover. 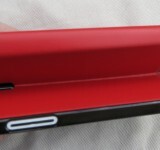 Mine is crimson red, but they also come in navy blue, linen (light pink) and amber (I’d call it tan, but I’m picky like that). 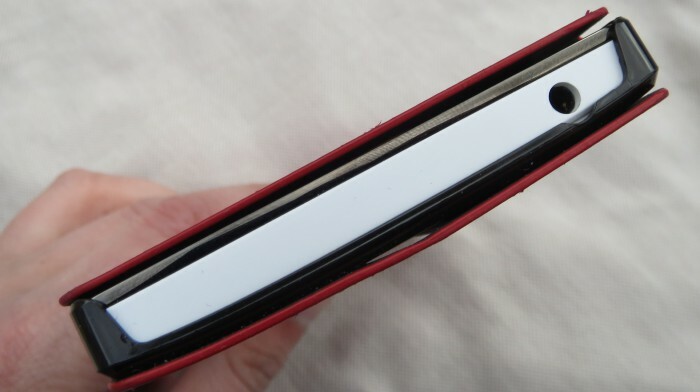 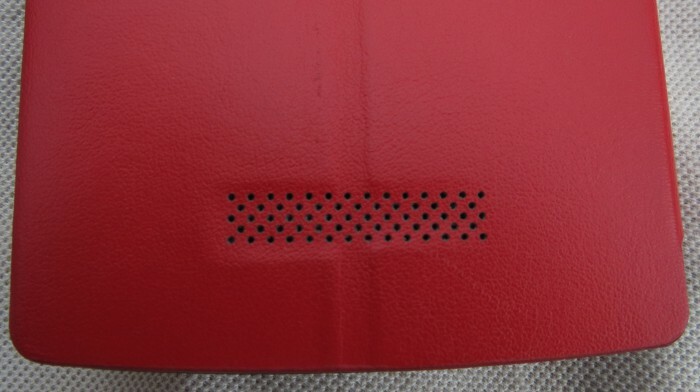 The inside of the flip part is a very thin foam, providing just enough cushioning to protect the screen, but not so much that it adds bulk. 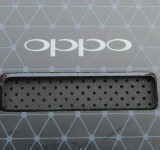 The inside of the shell is nicely decorated with a repeating triangle pattern and the OPPO logo. 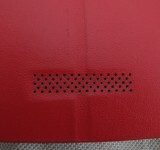 There are cut-outs in just the right places for the speaker, camera, buttons, etc. 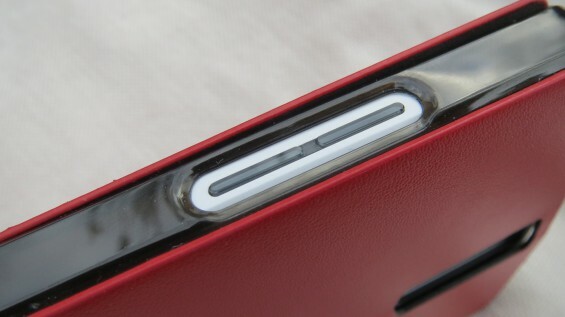 The phone slots into the shell with a satisfying click which gives a sense of quality. 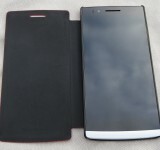 Taking it back out though is a trick Houdini would be proud of. 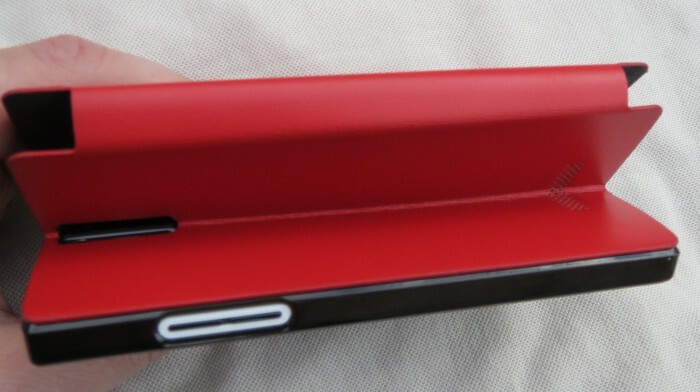 Bending, fiddling, dexterous use of fingernails and a bit of luck will finally extricate the handset. 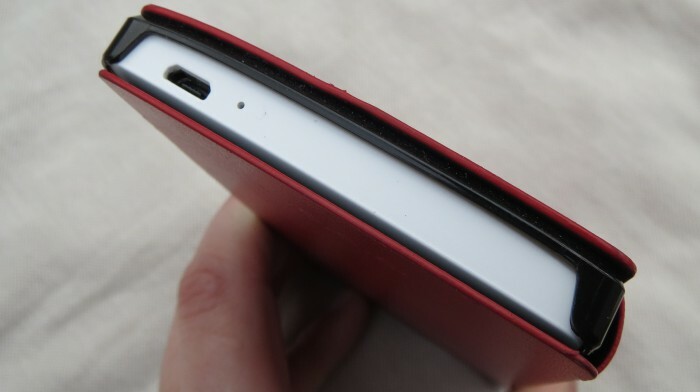 At least it isn’t going to fall out unexpectedly! 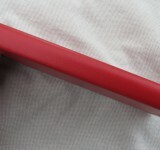 The plastic shell is quite thick, making it nicely robust, but it also means that the low profile buttons can sometimes be hard to press. 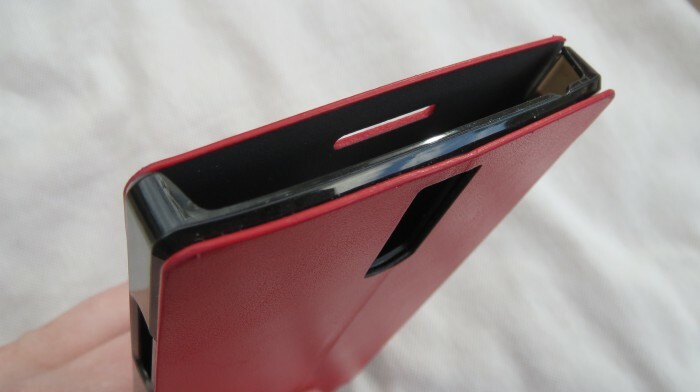 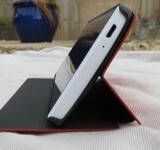 The actual flip part of the case is has a fold down the middle of the back so it can be used as a stand. 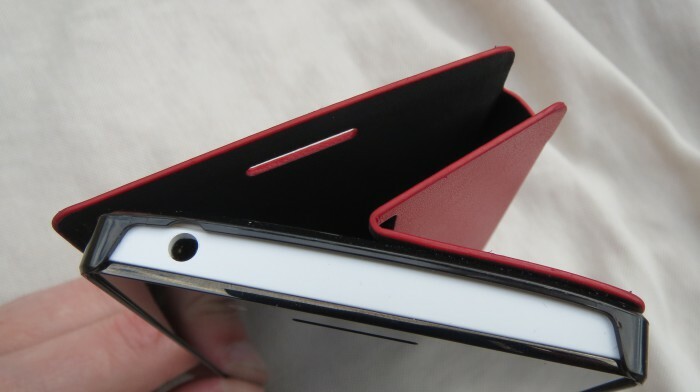 This isn’t the best implementation of such a design I’ve seen, however, because the inside foam surface on which the edge has to grip is just that little bit too slippery and after a while the angle gradually diminishes to a point where it’s not really a stand any more, more of a stood. 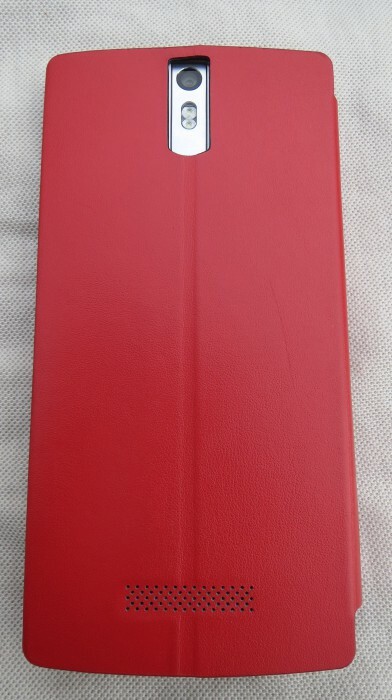 Over the three weeks I’ve been using it I have already found the faux leather coming away at one of the edges. 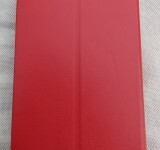 This is just from pocket wear and tear, I haven’t dropped or scraped it at all. 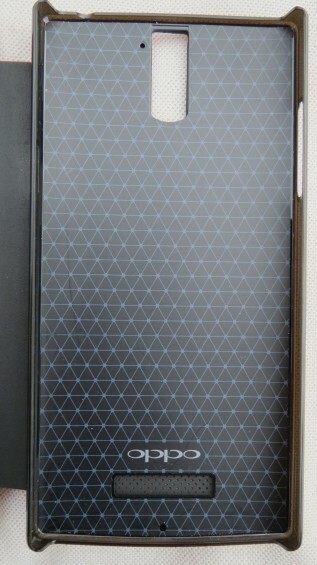 One nice touch is that closing the case causes the phone screen to turn off, then turn on again when opened. After building such a great quality phone OPPO have made a decidedly poor attempt at making a case. 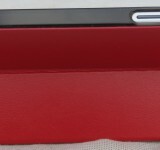 The plastic shell is actually pretty good, but the stand that won’t stand and the faux leather that frays really let this case down. 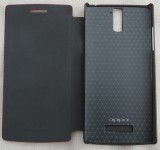 The trouble is that this is the only case on the market, so if you desperately want a case for your OPPO Find 5 you have no choice but to nip over to OPPO Style and lay down 25 Euros for one. 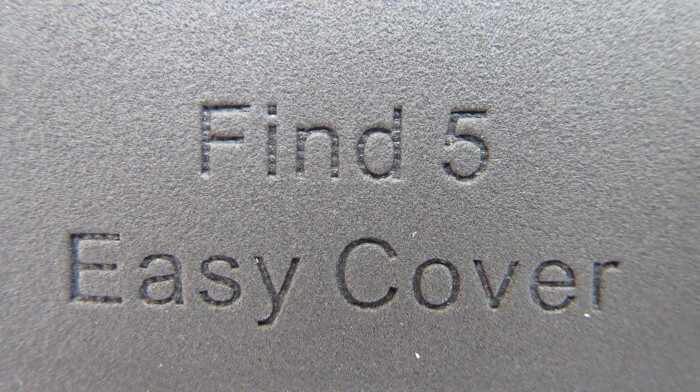 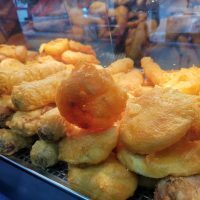 Either that, or you can have mine for a fiver. 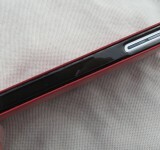 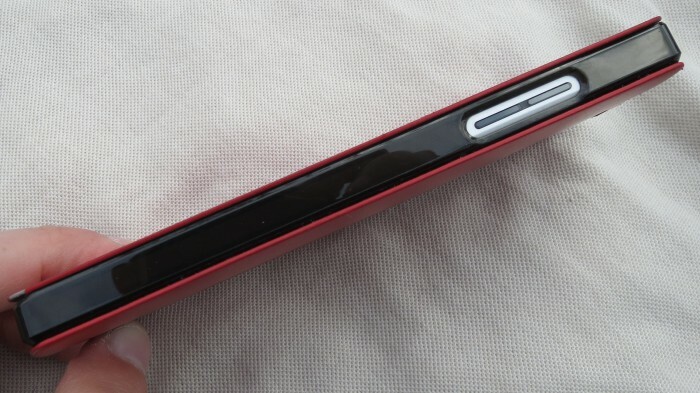 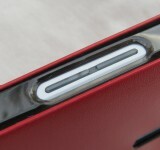 Huawei come out and say "We could have made the Ascend P6 even thinner"